Trust Me, I’ve been using the KeepVid website even before the developers at the YouTube Office could’ve thought about adding the “Save Offline” feature in the application. It was the simplest and efficient at that time, and the desktop software was quite more exclusive. Since the Internet Generation has now shifted to mobile platforms, smartphones and tablets are ruling the world. Fortunately, the KeepVid Android is the latest smartphone adoption of the website with all the premium features. Apart from downloading the videos, KeepVid also allows you to convert YouTube to mp3 format which you can easily save and share on your device. Since, you’ve been wondering that in the age of video streaming apps like Hotstar, why to go for the KeepVid video downloading the app. Well, YouTube is will always rule the territory with its humongous database and streaming flexibility. However, It still restricts the copyrighted content to save some videos offline. That’s the place where KeepVid Android Video Downloader kicks in. KeepVid has been in the downloading industry for more than ten years. With the software and the website’s robust and extravagant suite like YouTube video to audio Converter, Online Video Converter, YouTube videos to MP3 songs, and one of the best, the Android Video Downloader! So without any doubt, let’s start the review of this remarkable KeepVid App that would let you download unlimited video within seconds. The simple thing to do is to get the KeepVid Android app for your smartphone or tablet device. 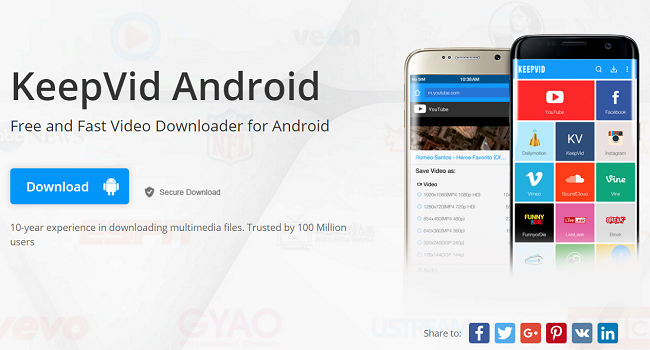 It is absolutely free, and you can download KeepVid Android apk directly from the website. The app is not available on the PlayStore or for other mobile platforms like Windows or iOS. It is exclusively restricted to video downloading niche with an array of in-app features that you’re going to use for the rest of Internet savvy life. To get started with the app, just open the File Manager app on your device and navigate to the APK file probably in the Download folder if downloaded using Chrome or the default browser. The next thing is to tap on the setup and install the application. If your device shows Installation Blocked, then simply enable them from the Setting>>Security>>Unknown Sources, and simply enable the option. Within few seconds, the app would be installed on your device, and you can get started downloading all the latest Music Videos that you’ve been craving for since weeks. Once you’ve completed the setup process, then you can download the videos in all the standard video formats. From the standard 480p MP4 videos to the resolution of 720p and 1080p Full HD videos, you are entitled to select from a wide range of options. 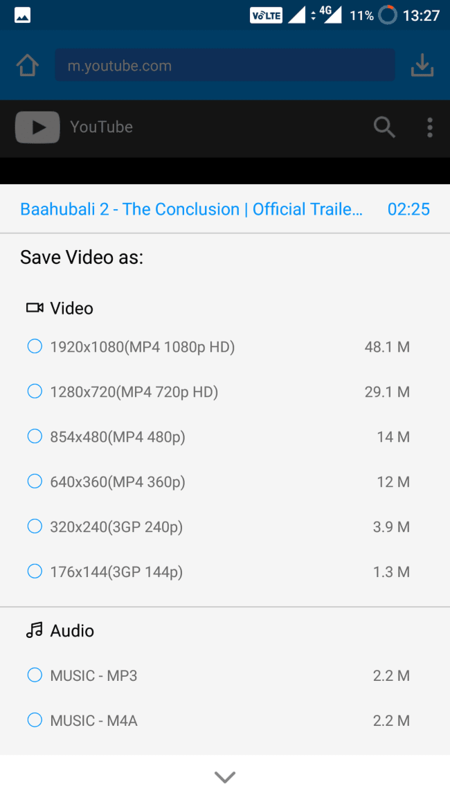 Apart from the In-app download option, the KeepVid Android app also features the old school Search Style downloading feature where you have to paste the video link, and the app does rest of the work. Download YouTube Videos as MP3: - Suppose you're looking for an Instrumental music or a podcast, then downloading the video won't be necessary. 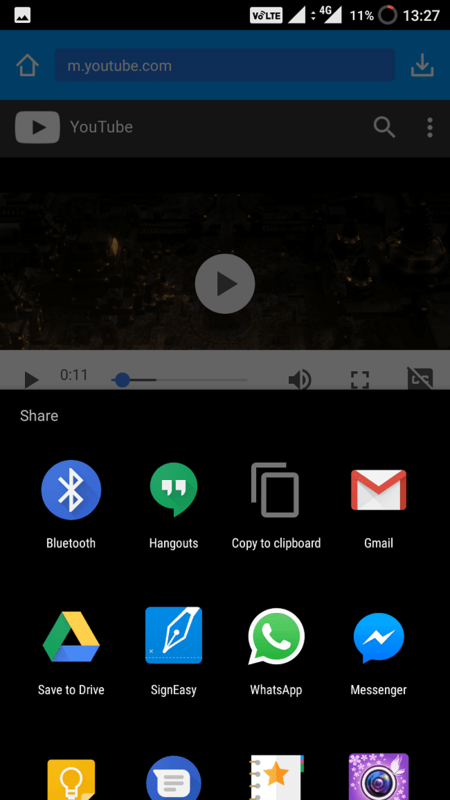 The KeepVid Android app offers a simple solution to download any video page in the standard audio MP3 format, and this feature is located at the bottom corner of the app. In-Built Browser and Search: - Here comes the strong feature which would save a lot of time for you. Since copying the video link from the YouTube app is a little long, so you search the videos directly from the KeepVid app by using the built-in browser feature. 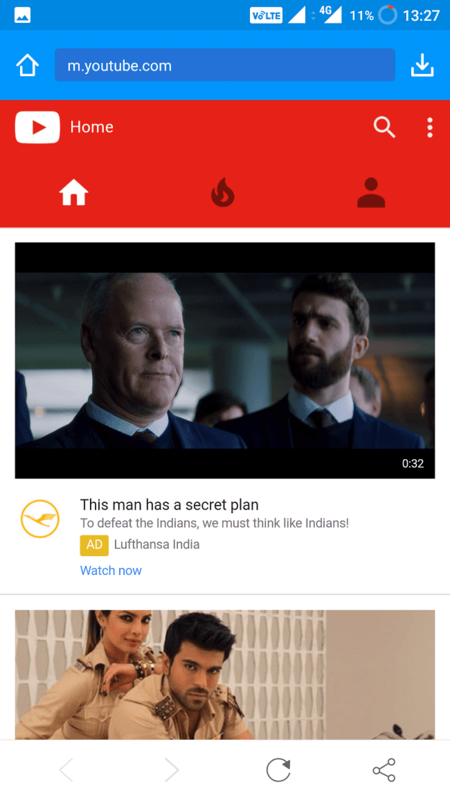 Share Anywhere: - One disturbing thing about YouTube's offline save feature is that after every several weeks, it redownloads the content after the app update, and you cannot share the videos with another person as well. That's why downloading the videos from the KeepVid downloader would let to share the files with everyone, and you can transfer it across devices too. Multi-Task: - This free application lets you download the videos in bulk mode. With the KeepVid Android, you can download five videos simultaneously. 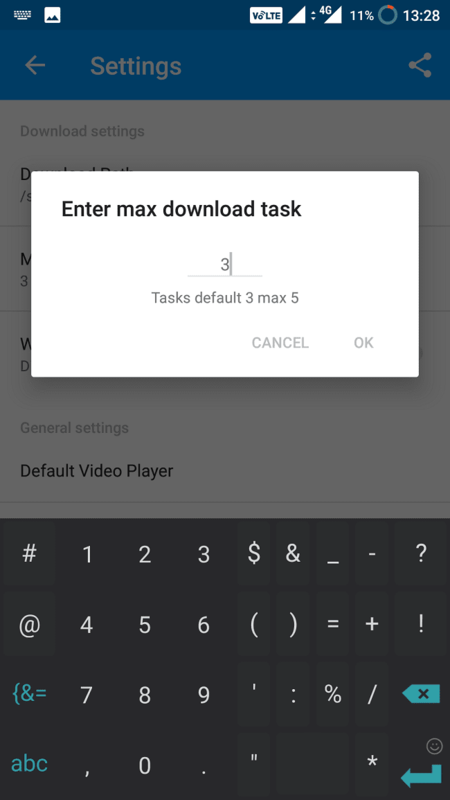 By default, the download limit is set to 3 videos, but you can change it from the App Settings>>Download Max. Download Videos Directly: - One of the best features of the KeepVid YouTube downloader app is to download the video directly through the YouTube App. The developers have smartly integrated the download option into the app. Just click on the Share button, and you can directly download the video you're currently watching without any efforts. Without any doubt, there are tons of apps available for Android OS to download YouTube videos, but almost 90% of them are being hosted on Russian & Chinese cloud servers with weird ads popping up here and there. However, KeepVid is different and a reliable website that holds up a stock of useful features to do much more than just downloading videos. The company has been doing this for quite a few years now, and with their software and application deployments, it just got easier. 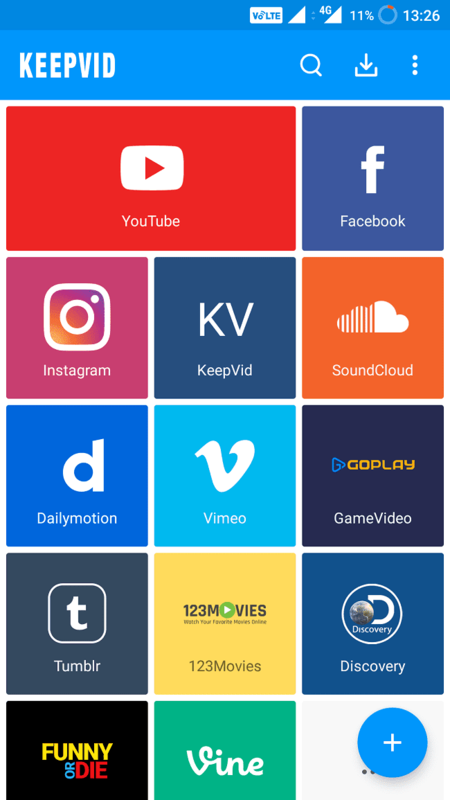 In simple words, if you want a no-nonsense YouTube video downloader app for your smartphone, then KeepVid Android App is the one. Do share your thoughts on the following services, and let me know if you're facing any issues regarding the same. Cheers!